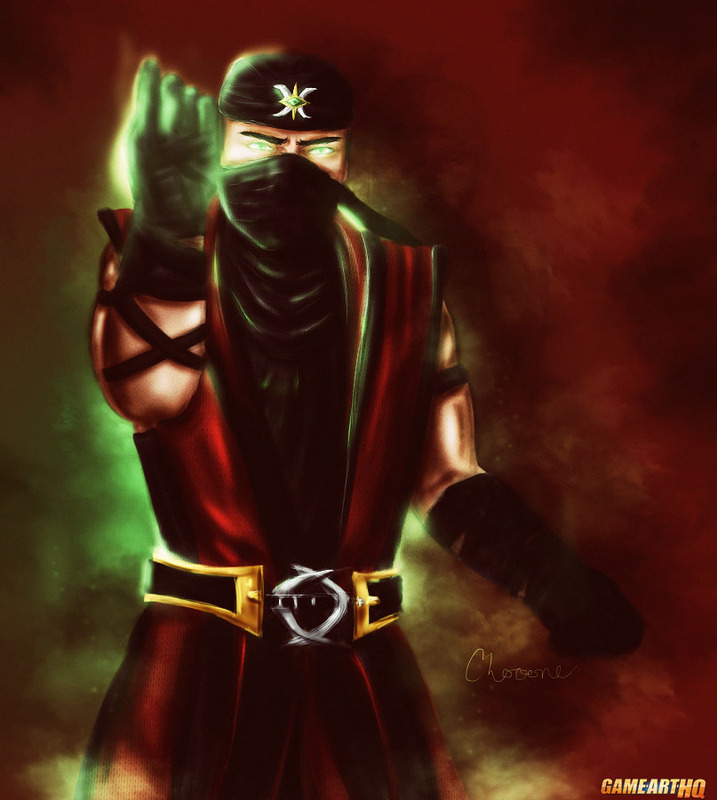 Ermac MK Deception Bio Alt. 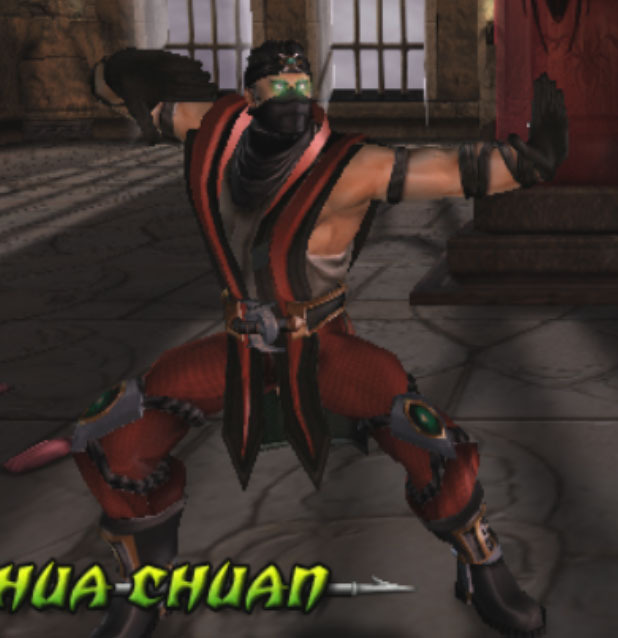 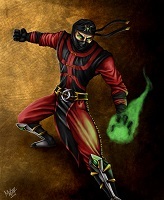 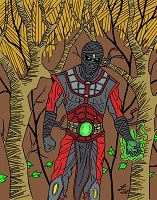 Ermac had a great redesign in Mortal Kombat Deception and his unlockable alternate costume was a bit more similar to the classic Ninja looks in UMK3 but still different. 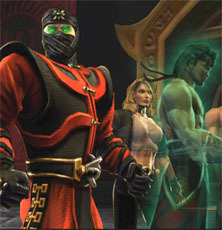 “In an outer chamber of the Dragon King’s throne room, Ermac did battle with Liu Kang’s enslaved comrades. 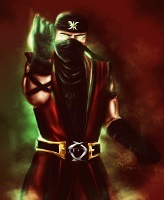 Ermac was more than a match for the five warriors, but their defeat was not his objective. 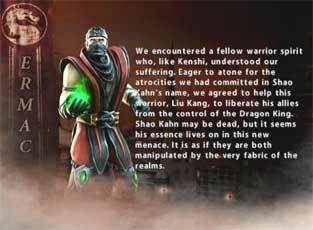 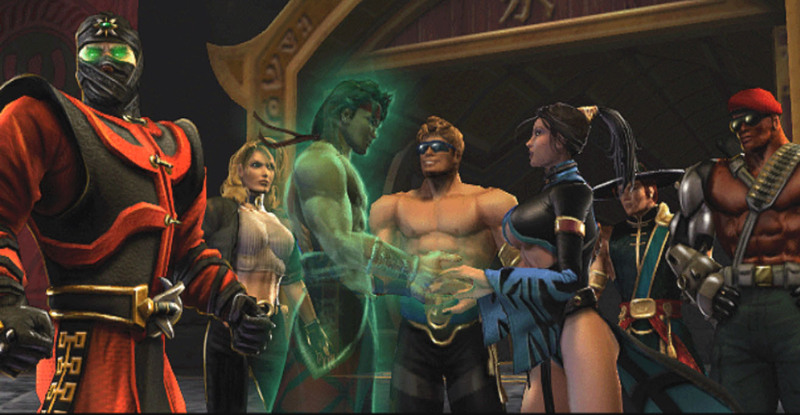 Liu Kang materialized and, one by one, freed their souls while Ermac occupied the rest. Eventually, all five were awakened from their enchantment and freed from Onaga’s control. 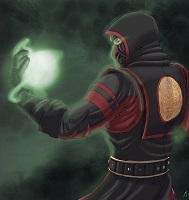 Ermac was pleased that his warrior skills could for once bring about a noble outcome.